The CIO needs to be focused on successful business outcomes and ensuring high levels of customer satisfaction while simultaneously dealing with challenging budgets, resourcing issues, keeping abreast of technology changes and restrictions that older systems and technology can place on a company, as well as any relevant legislative changes that could affect a business (for example, privacy laws). With a new year upon us, it’s time to put plans in place for the upcoming year. If you’re a CIO in any company, large or small, these are some of the challenges you need to have on your radar for 2019. Traditionally the CIO was concerned only with a company’s IT operations – think software and hardware. Increasingly they have a strategic business focus to rival the CFO or COO. As well as still having responsibility for the IT systems that the business needs in order to function, CIOs have a role to play in providing data and other intelligence that can help a company deliver products, services and projects to its stakeholders. The CIO needs to still keep an eye on the traditional aspects of their roles while also being agile enough to deliver new concepts, follow trends and take a company into new spaces, particularly where an industry is at risk of “disrupters”. Today’s CIO increasingly needs to be focused on technology, but also their company’s business and financial outcomes. In order to ensure they have adequate budget to achieve strategic goals, they must be able to persuade the other executives in their organization that IT is more than just a cost of doing business, it has a value way beyond that. Information technology can be used to enhance the customer/client experience, simplify processes, innovate and deliver new and unique products and services and take the company from strength to strength. Just because something has been done the same way, over and over, for many years doesn’t mean that’s the best way to do it. It might be tired and outdated, it might not be working, it might be something that can be simplified, it might be unnecessarily costly. CIOs need to keep up-to-date with technology shifts and changes and be aware of limitations that legacy software and hardware systems can pose. Other trends in the marketplace, particularly those being adopted by competitors need to be analyzed constantly and recommendations made to the business. Let’s face it, customer feedback internally can affect how even the rest of the executive perceive the CIO’s entire department. Negative feedback can come for a number of reasons such as poor communication from the IT department, too many outages, poorly implemented projects, unhelpful staff and solutions that are not fit-for-purpose. Striving for continuous improvement in all these areas is a must. For example, when it comes to communication consider investing in DeskAlerts to keep employees in the loop about any outages or other issues affecting systems. 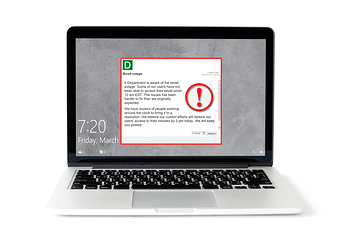 DeskAlerts sends pop-up notifications straight to employee desktops in a timely way and the notifications can’t be skipped or ignored. It’s not just the CIO who has to keep up-to-date with industry movements, changes and trends: all IT workers in the company need to keep their skills relevant in order for IT to be agile and relevant so the company can compete. Unfortunately, according to a recent CompTIA survey, around 40 per cent of IT workers feel that they aren’t getting the training that they need to keep up with change so they can effectively perform their jobs. Many companies take the approach that the onus of keeping up with change rests with an individual employee. When IT systems were a lot simpler this may have been a reasonable expectation. 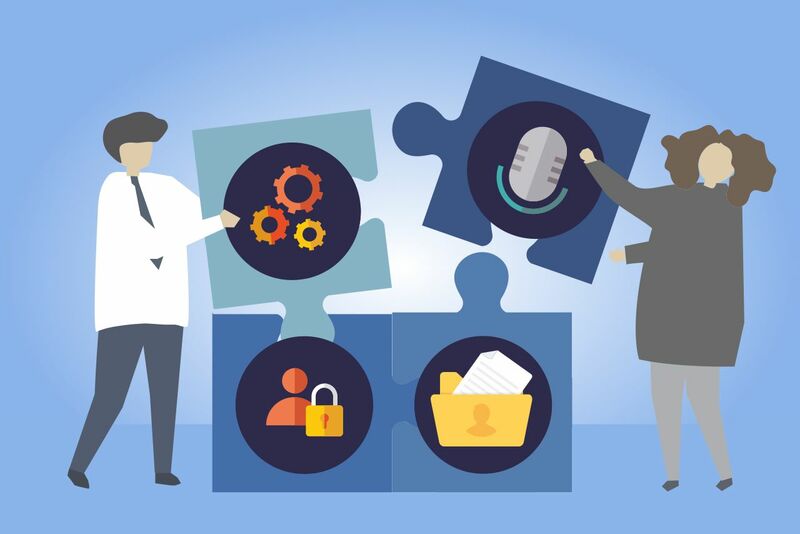 The sheer complexity of change on many different IT platforms means that a company really does have the responsibility to ensure its IT workers have the right skills and should organize learning and training opportunities as required. Over the past several years, many companies have undergone digital transformation projects in varying guises – some of them ad hoc to specific systems and some have been an holistic overhaul of all systems being replaced by more functional digital initiatives. Whatever your company’s digital transformation has been to date, chances are it needs to be tidied up and streamlined so any inefficiencies are removed, ensuring that your business is innovative, efficient, cohesive and coordinated. While the CIO has to think about the present and the immediate future, they also need to keep an eye on the longer-term future, especially as technology is rapidly changing. In fact, to be shortsighted and only think of today is perilous. CIOs need to be looking at what the company is doing in the IT space now, and consider if that will still be fit-for-purpose into the future. What sorts of digital transformations will be needed ongoing? Where is technology headed? How quickly will today’s technology investments become obsolete? Security and privacy were big issues in 2018, and that will continue to be the case in 2019 as well. In May last year the New EU General Data Protection Regulation (GDPR) came into effect creating a law that enforces the protection of data in Europe, along with new regulations and rights around personal data protection. All organizations that do business with EU residents are affected. It’s also likely that similar rules and regulations will be adopted elsewhere in the world. Putting measures in place to protect the company from cyber crime and other cyber security threats will also be necessary.